Security researcher Min Zheng has taken to social media to share the latest developments from his work with Apple’s iOS 11.3 platform. 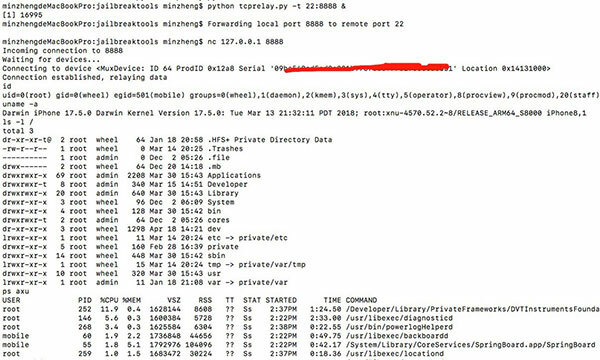 Rather than sharing the existence of kernel-level or 0day bugs that he did previously, Zheng has this time shared a screenshot and an accompanying annotation which highlights the fact that he has managed to achieve root shell access on iOS 11.3. Alibaba’s Zheng has been extremely active on Twitter recently as far as iOS 11.3 research and potential jailbreak fodder is concerned. After initially announcing that he had found a 0day bug and a kernel-level bug which had made it through the iOS 11.3 beta testing and into production, Zheng then confirmed that he and his team would be working with Apple in order to close the discovered bugs before publishing them into the community and possibly presenting them at security-focused conferences. This latest tweet relating to iOS 11.3 doesn’t specifically negate any of the information provided in previous posts, which means that we can still expect Zheng and his team to continue down the path that has previously been stipulated. However, what it does show is that Zheng is continuing his research and work behind-the-scenes as far as iOS 11.3 is concerned. The latest development of which has shown that he is now able to get remote root access and all of the privileges which are afforded by that. The jailbreak community will likely instantly be throwing arms up in celebration about this but it’s still entirely unknown if this will ever make it out into the public domain in order to start the process of an iOS 11.3 jailbreak. Currently, the latest stable jailbreak available to the community is the Electra jailbreak developed by CoolStar. 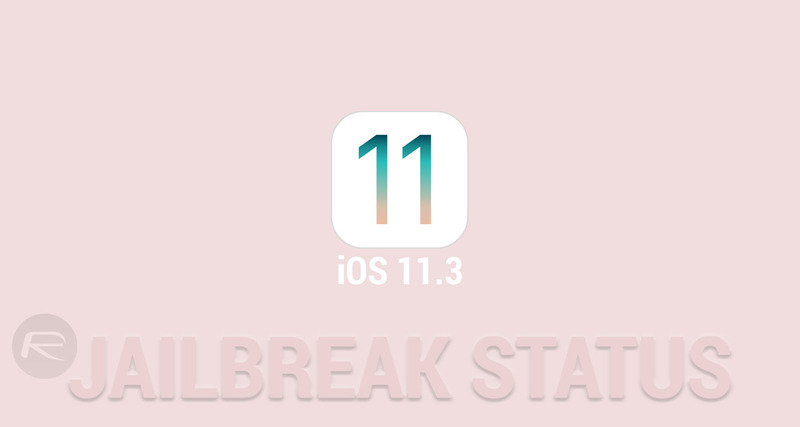 This has been significantly progressed and updated with each iteration and now ships with Cydia and Substitute and can be classed as a “complete” jailbreak solution for devices running iOS 11.0 through iOS 11.1.2. However, with iOS 11.3 now the publicly live version of Apple’s platform and iOS 11.4 betas seeded to the testing community, device owners are looking beyond the capabilities of Electra and hoping for something new, fresh, and modern. Zheng’s work is currently the only ray of light to suggest that an iOS 11.3 jailbreak is being looked at. We will continue to update as we find out more.